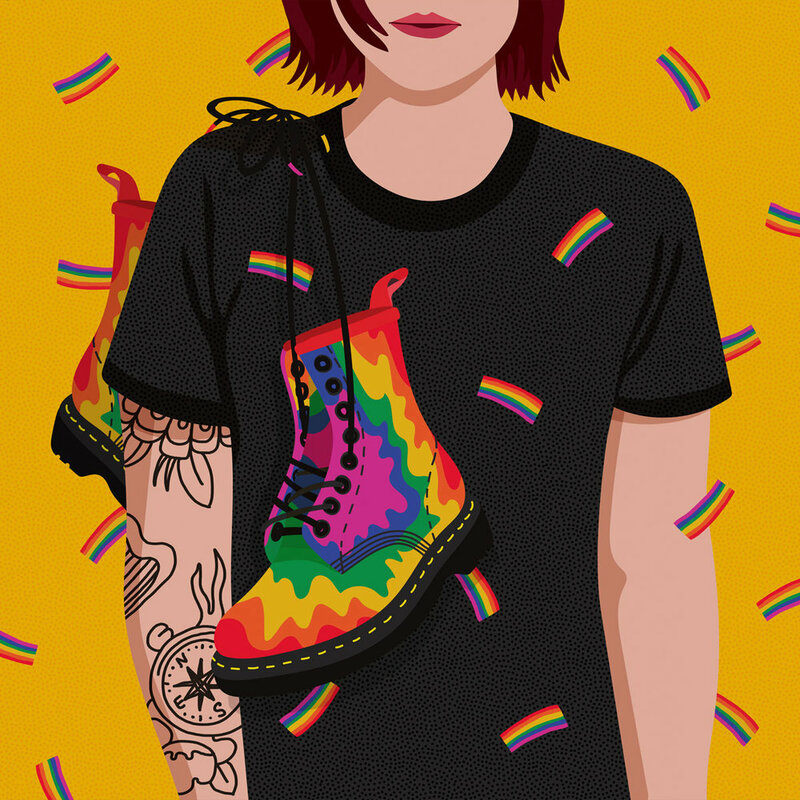 I had the joy of working with Dr. Martens to celebrate Pride Month! They asked me to create an illustration that included the special 1460 Pride Boot. Dr. Martens also interviewed me HERE with photographs by Lauren Marek. 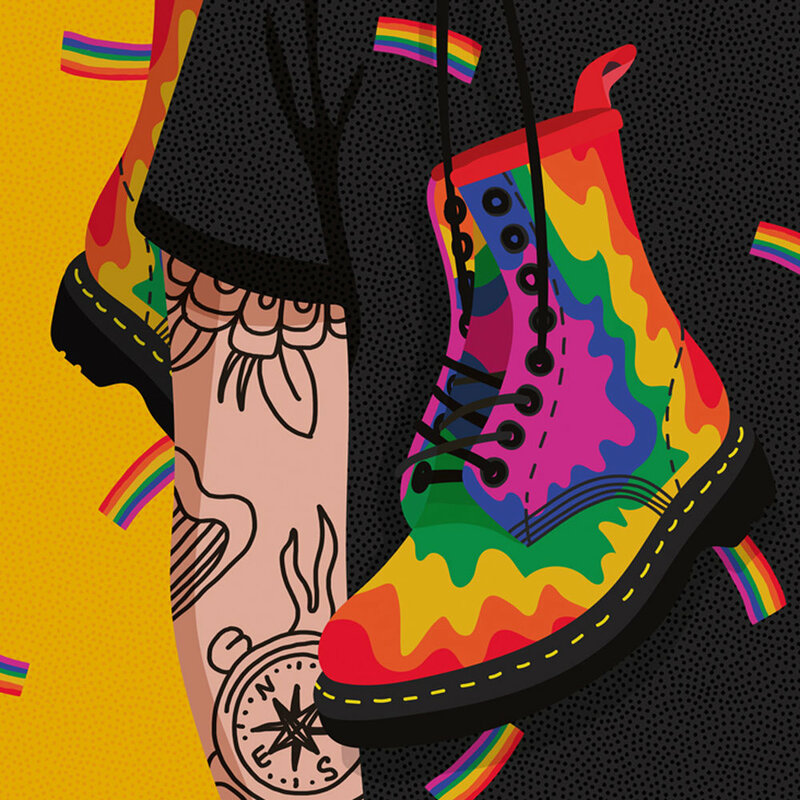 A portion of the proceeds from the Dr. Martens Pride collection goes to the Trevor Project, a national organization focused on crisis intervention and suicide prevention for LGBTQ youth.